Over the years, DiS has been pleasantly surprised by the tastes of some of our favourite acts, but when we heard that emo-legend Gerard Way was a massive anglophile, who was particularly into Brit Pop and that Supergrass were one of his favourite bands, an idea was born. A few emails later, and it was happening. 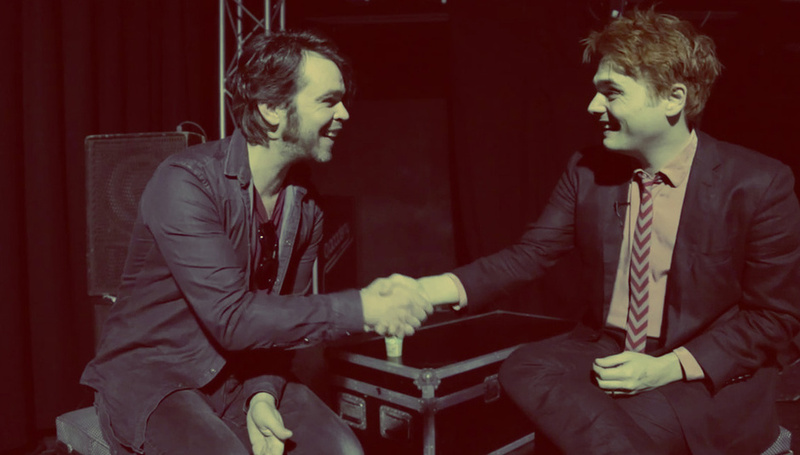 Here's what happened when the former My Chemical Romance frontman visited Oxford and met his boyhood hero Gaz Coombes, for a chat about the challenges and joys of going solo. UPDATE: Here is part two. To be alerted when more features like this are live, subscribe to our YouTube channel or follow us on Twitter @drownedinsound or Facebook. Gerard Way's debut solo album Hesitant Alien is out now. Gaz Coombes' second solo album Matador is released in early 2015.